Understanding the temperature generation around the tool shoulder contact is one of the important aspects of the friction stir welding process. In the present study, the effects of various tool shoulder end feature on the temperature and mechanical properties of the 6082 aluminum alloy were investigated. The experimental results show that the axial force during the welding is considerably reduced by using tools with shoulder end features. The detailed observation revealed that around the tool shoulder contact, the amount of heat generation is higher between trialing edge (TE) to retreating side-leading edge corner (RS-LE) counter clockwise direction and lower between RS-LE to TE clockwise direction. Out of the four shoulder end featured tools, the welds produced with ridges shoulder tool resulted in superior properties with significantly lower axial force (approximately 32%) compared to plane shoulder tool. 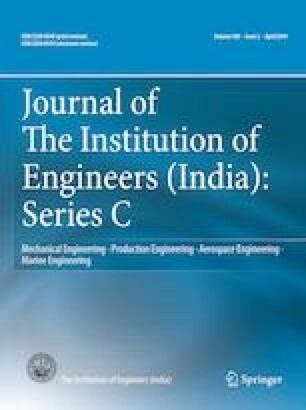 The authors are thankful to the Department of Mechanical Engineering, National Institute of Technology-Warangal, India for providing the research facilities to carry out the work. Authors are thankful to the reviewers for providing valuable suggestions.